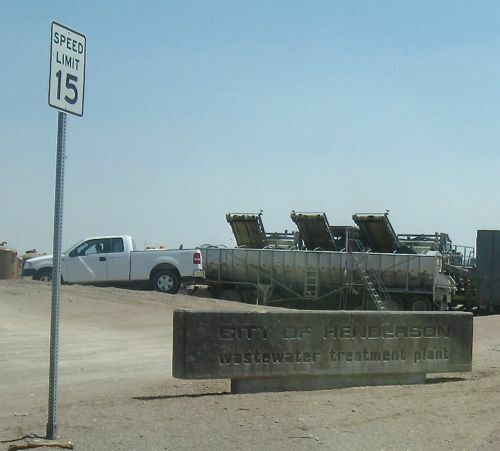 That's right, we did some birding at Henderson Wastewater Treatment Plant and is also known as Henderson Bird Viewing Preserve (doesn't that sound better), which is just a hop, skip and jump away from downtown Las Vegas, about 13 miles southeast. 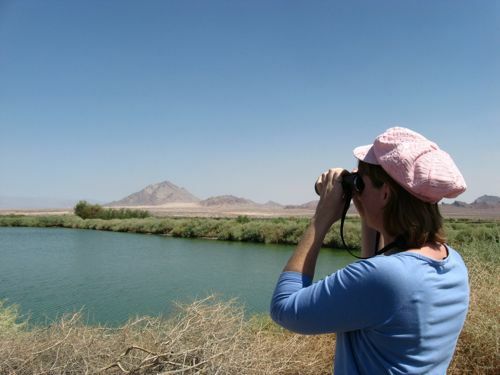 This is a popular destination for birders visiting around Las Vegas and certain times of year will be more productive than others. We didn't spend too much time here, it's hours vary depending on the time of year. In summer when it is beastly hot, viewing is only allowed between 6am and noon. You also have to get buzzed in, sign in and out at the visitor center. Non birding readers of this blog must be imagining all sorts of sordid smells and disgust by birding at a wastewater treatment plant in hot august. However, the view was quite lovely--isn't that a cute hat worn by WildBird on the Fly? When we first arrived, there were a few black-necked stilts around, but they were rather cagey and took off. We also noticed a few flocks of white-faced ibis. We were there about an hour before it closed, but this place would be loads of fun at 6 am and especially in spring and fall based on what we saw. 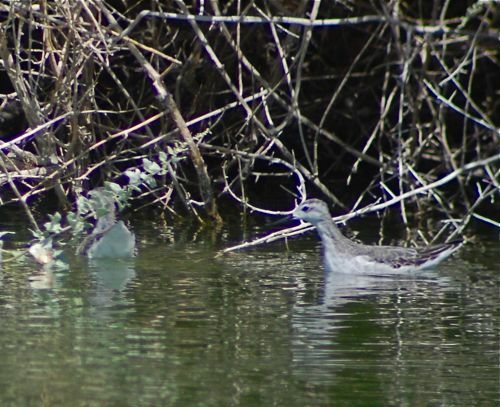 Above are a couple of Wilson's phalaropes in their non-breeding plumage. A far cry from the beauties I saw in North Dakota a couple of months ago. There were also quail, mourning doves, common yellow throats, one lone snowy egret and a green heron. 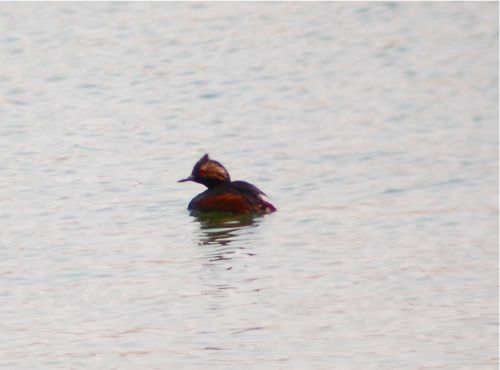 This is definitely a place I would put on my list for birding if I happened to be in Vegas. 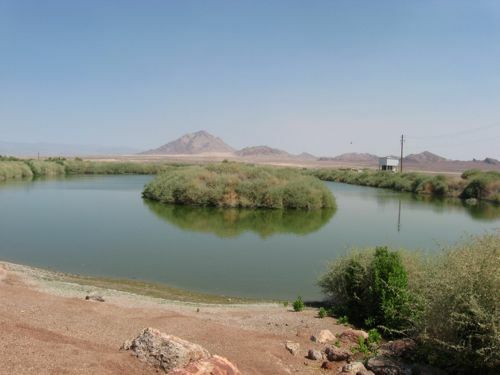 If what little we say doesn't tempt you, another one of the workers at Henderson showed me a photo on her camera and got a shot of a black-throated gray warbler around the preserve--this is a great birding spot, so close to urban Vegas.